In short, our answer is YES! But our sentiment is conditional: it isn’t right for everyone, and it’s only effective if your execution is too. Pinterest is a social sharing platform ripe with useful information. It’s even a popular search engine, which means that it has positioned you – the business owner or firm – to build your Brand into a gold mine of resources for your target audience. Because Pinterest users frequently shop online, it’s also a platform that places retailers at a special advantage: if utilized appropriately, Pinterest becomes a catalyst for product sales. But it isn’t just for retailers! If you can use your business resources to pin valuable content such as infographics, photographs, step-by-step guides, interesting videos and useful tips, then you should use Pinterest as an effective marketing tool. 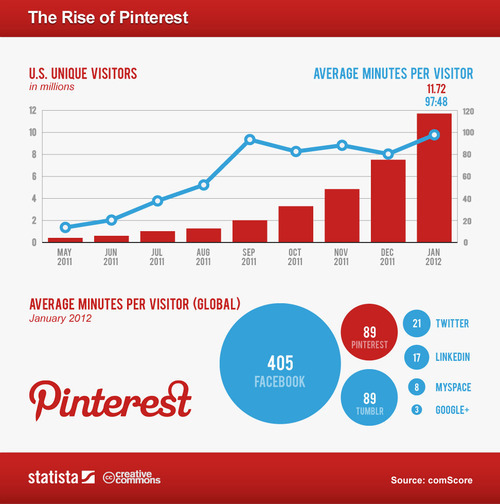 How do I use Pinterest to boost brand awareness and SEO value? Elevate your profile. Since the information on your profile’s landing page gets picked up by search engines, it’s important to make sure that the Pinterest profile you create for your business is complete: don’t leave any fields blank! Create a username that is as close to possible as your actual business name, and verify your web address. Including your website URL on social profiles is an extremely important part of improving your SEO value, and drives traffic to your site. Connect your social profiles. Improve your chances of reaching a broader audience by connecting your Facebook , Twitter, and Pinterest accounts to one another and cross-sharing through these accounts. Increasing your post’s visibility, or the number of people who see your post, also increases opportunities for sharing via Facebook ‘likes,’ ‘retweets’ and ‘pins.’ Google recognizes these social signals, which means that the more shares you get, the higher your search engine ranking can become. Create keyword-focused and topic-focused pin boards. 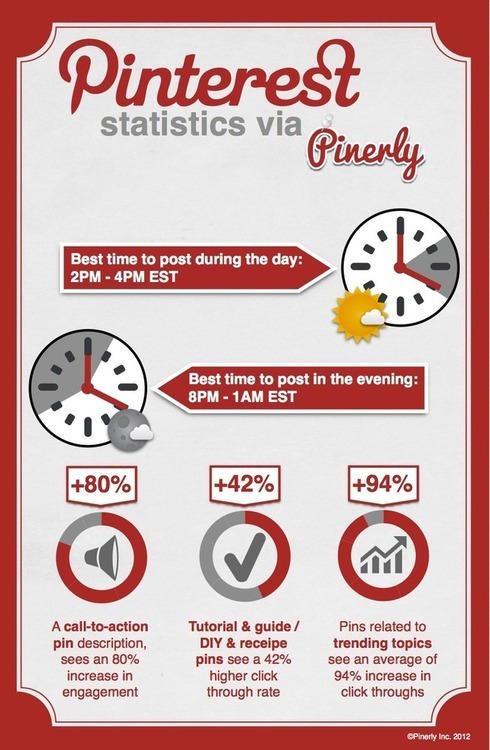 On Pinterest, your boards carry the most weight. They help users determine whether or not you’re worth following. Use keywords to organize your boards into categories that accurately reflect the pins within them, and position your best content at the top, since users who visit your profile will see these boards first. Your goal is to make a great impression in only a few short moments. Make your images and captions keyword-rich, too. Search engines crawl just about everything – including your images and the captions you leave on your pins. People often discover pins because they’ve searched for a certain keyword in Pinterest’s search engine. When creating your own pins, be sure to title the images you upload using specific keywords that you think your audience is searching for,and caption all of your pins and re-pins with keywords in mind as well. Pin your own content. When pinning original content, remember to always include a fantastic image – visual appeal is often the deciding factor when it comes to whether or not a user clicks on your pin! Creating your own pins is advantageous when it comes to driving traffic back to your website. Those familiar with SEO strategy might stick their noses up at the idea of using Pinterest to boost SEO value because of its “nofollow” policy: pins don’t pass SEO authority to your site, and therefore won’t improve your Google page rank. In other words, linking back to your website through your pins will not make your website show up higher in Google searches. Regardless, original pins still create backlinks to your site and invite site engagement, so it’s certainly worthwhile. One more tip: Don’t forget that Pinterest is such a simple platform to use. You don’t always need to invest valuable time and resources into a pinning spree; you can easily grow your Brand’s presence from the comfort of your own couch while catching up on your favorite TV shows. Happy pinning, and don’t forget to like us on Facebook or follow us on Twitter!